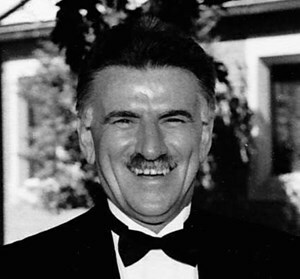 Joseph L. Dioszeghy, 71, of Olathe, Kansas, passed away peacefully on June 16, 2016, following a long illness. Born to Joseph and Ilma Dioszeghy in Augsburg, Germany on January 18, 1945, Joe immigrated to the United States from Hungary with his parents and sister in 1949. The family settled in Olathe, Kansas where he attended elementary and middle school, ultimately graduating from Olathe High School in 1963. During his high school years, he was an outstanding student and athlete and participated in various sports, including basketball and football. After high school, he attended the University of Kansas and obtained his undergraduate degree in Political Science and went on to earn his Juris Doctorate degree from the KU School of Law in 1970. He then joined the United States Marine Corps and was active from 1970-1974. He had numerous accomplishments during this time, attending Officer Candidate School and Basic School in Quantico, Va., Naval Justice School in New Port, RI, and Military Judges School in Charlottesville, Va., ultimately achieving the rank of Captain. He was stationed at Cherry Point, NC where he remained until 1974. Following his discharge from the Marine Corps, he returned to his hometown of Olathe where he began working as an Assistant District Attorney in the Johnson County District Attorney’s office under Margaret Jordan. He remained in that capacity until October 1976 when he made the decision to branch off into private practice, with his focus on criminal law and domestic relations. During this same time, he served as Municipal Court Judge for the City of Olathe from 1980-1997. He continued in private practice until March 2016 before falling ill. He had many hobbies and interests in life. An avid sports fan, he enjoyed attending sporting events and was particularly fond of football and college basketball, a loyal and devoted fan of the KU Jayhawks. He enjoyed traveling and was afforded the opportunity to travel to Europe with his mother in 1980. He particularly enjoyed warm, beach destinations as he loved the outdoors. He had a love for gardening and spent a great deal of time working in his yard. He also had a fondness for music, reading, and history, a topic he never tired of. Although he had many interests, he knew of no greater treasure on earth than his family. A loving and devoted husband, father, and grandfather, he cherished the time he spent with his wife, children, and grandchildren. He carried enormous pride for each of them. He was a man of tremendous strength and courage who set out to achieve goals and did so with determination. While he will always be remembered for his kindness, warmth, sense of humor, contagious laughter, and his loyal friendship, he will above all be remembered for his compassion and generosity. There will never be another like him. He is deeply loved and will be sorely missed. Semper Fi, Joe…may you Rest In Peace. He is survived by his wife, Michele Dioszeghy, of the home; six children, Sally Berry (Kipper), Medina, Ohio, Joe Dioszeghy (Jennifer), Overland Park, Ks, Ashley Dexter (Matt), Overland Park, Ks., Bria Dioszeghy, Olathe, Ks., Jack Dioszeghy and Nick Dioszeghy, both of the home; six grandchildren, Madison Berry, Spencer Berry, Kylie Dexter, Joey Dioszeghy, Alex Dioszeghy, and Madelynn Dioszeghy; sister, Ilma Duncan (Donnie), Surprise, Az. ; nieces and nephews and their families, Alisa Zigler, Vickie Nugent, Kathy Teague, Katie Banks, Brittany Thomsen, Brandon Boyers, and many, many friends. He was preceded in death by his father, Joseph Dioszeghy in June 1966 and his mother, Ilma Dioszeghy in August 2015. Visitation will be held at Penwell Gabel Funeral Home at 12475 Blackbob Rd. in Olathe on Friday, June 24th, from 5:00-8:00 p.m. Funeral services will be held Saturday, June 25th, at 10:00 a.m. at United Methodist Church of the Resurrection, Leawood, Ks. Burial services will follow. The family wishes to extend their gratitude to the staff at Olathe Hospice House for their support and compassion during Joe’s final days. The family also suggests contributions to the American Cancer Society, 1100 Pennsylvania Ave, Kansas City, MO 64105. To leave a special message for the family or to share a memory of Joe, please click on the "Share Memories" tab above. Add your memories to the guest book of Joseph Dioszeghy. I will miss joseph a lot he always had a smile on his face.. my thoughts and prayers are with all of you he was truly loved here at the courthouse. I would like to share a couple of memories of Joe: When I was a younger lawyer Joe, along with Frank Gilman's father, Dave, gave me grief/good-natured hazing on an ongoing basis. Sometime in the 90's after I had left the DA's Office I took a politically unpopular case up on appeal. Every other member of the local bar teased me about trying to get the Appellate Courts to "legalize being gay." This was before the LBGT movement and times were different. The two who didn't give me grief were Dave & Joe, who in fact sought me out and made it a point to very seriously tell me (in their own way) that they were proud of me on behalf of the profession. I remember distinctly after I lost the appeal Joe telling me, "That was the most result-driven opinion I have read in my entire career." His consolation met a lot at the time. The other story about Joe: When his daughter (Sally) complained to me once about her trial-ad instructors telling her things that conflicted with her father's advice I remarked, "Well, Joe's forgotten more than they ever knew." That remark apparently got back to Joe and he thanked me. I told him, "Think it through Joe, that wasn't necessarily a compliment..." I still remember him laughing. That's the "Dio," I will remember. Joe and I went toe to toe a few times as adversaries. The last time I saw him he went out of his way to come over to me and give me a big hug. He said he was glad I was retiring and that he had at one time not liked me but then decided I was an honorable person (he said other really nice things which I'll skip) and we talked awhile and hugged again. Good memory. God bless you all. I have known Joe and his mother most of my life, and loved his sweet mother dearly, Joe was always a kind and sweet man to me and my family. Who was so proud of his family, and very devoted to his mother.May you rest in peace Joe, God speed. In High School Joe and I both had 1957 Chevy convertibles. We decided to have a drag race to see who had the fastest car. So I went out and souped mine up wit 3 carbs, laker pipes and a lower front end. Well, we raced and Joe still beat me. Boy was he proud and I was destroyed. However regardless of the outcome we remained best friends until we went our separate ways, Joe to KU and me to KState. I only had one case with Joe in a thirty year career that involved thousands of cases. However, Joe left an indelible mark on me in our one case. Kind, funny, responsible, professional- a true gentleman the likes of which are sadly diminishing in our profession. I was deeply saddened to hear of his passing. Please accept my sincerest condolences. May your family find peace and love in your time of sorrow. My name is Jonella Dowdell-Loum. My mother Diantha went to school with Mr. Dioszeghy an always spoke highly of him. Their class was a close one. I know my mom is at the gates welcoming Joe into heaven! God bless you all?????? As an officer at the Overland Park Police Department, I faced Joe many times as he represented his clients in Court. Of all the attorneys I went against over the years, no one did a finer job than Joe, of representing his clients, while respecting the officer at the same time. Joe and I developed a close working relationship borne out of mutual respect. He was a good lawyer, but a great man. I will miss him! My thoughts and prayers are with the Dioszeghy family. Joe was my first "Boss" working for the City of Olathe. I will forever be grateful for his kindness, sense of humor, and ability to teach. He will be missed by many. Our thoughts are with the entire extended Dioszeghy family. We've know the family since the 1950's through the Presbyterian Church and Olathe schools... in a wonderful and supporting community of friends. I was high school when Joe was there and always liked him, but, we both had season tickets to the Chiefs games for many years and our tickets were close to each other in different sections. We used to get together at half time and recall the OHS days and laugh a lot. He was fun to be around and a very "Classy" guy. I will miss him.